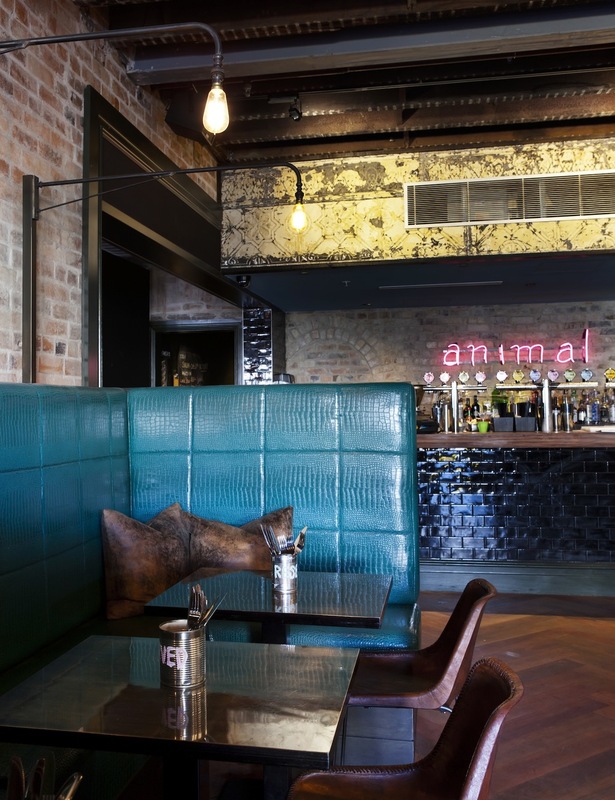 The 200-seat Animal Restaurant at The Newtown Pub was designed to be different. 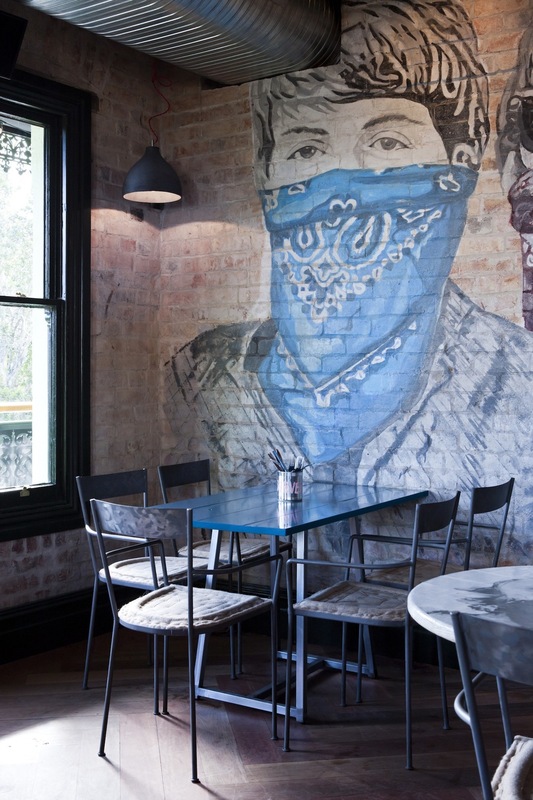 The look is uncontrived, raw and urban. 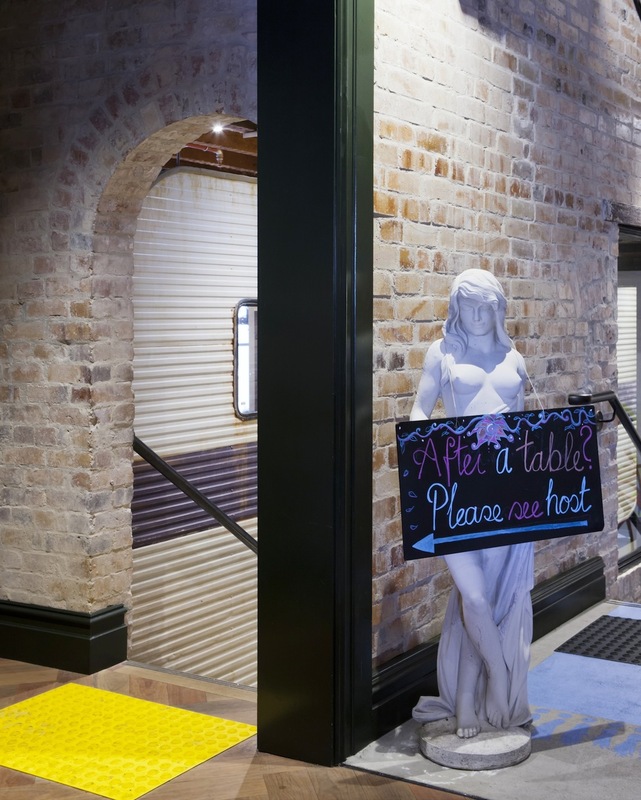 Formerly a dilapidated watering hole, the building was refurbished to preserve its heritage. 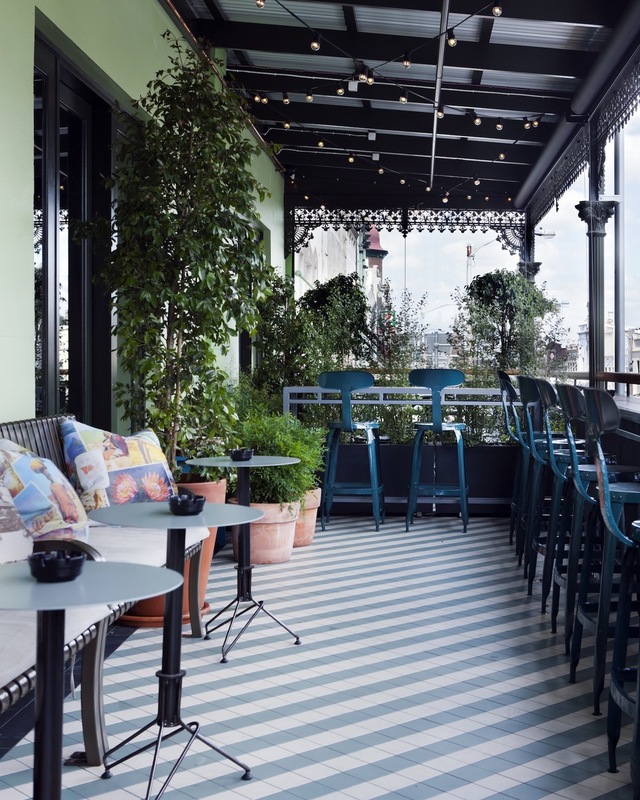 Up on level one in The Animal, original style trims and details were reinstated – Victorian balustrading was restored, architraves and skirtings refitted – to reference the site. 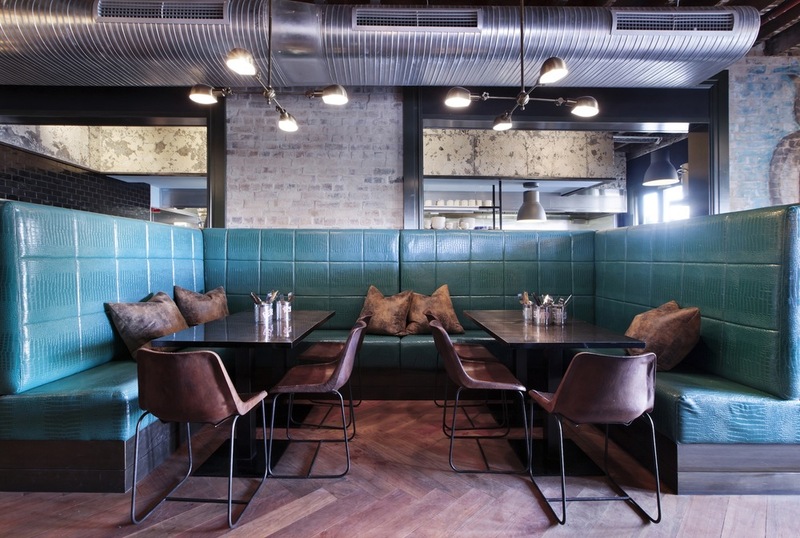 Cool greens and blues dominate the scheme and feature on custom-made tabletops and alligator vinyl banquette sections. 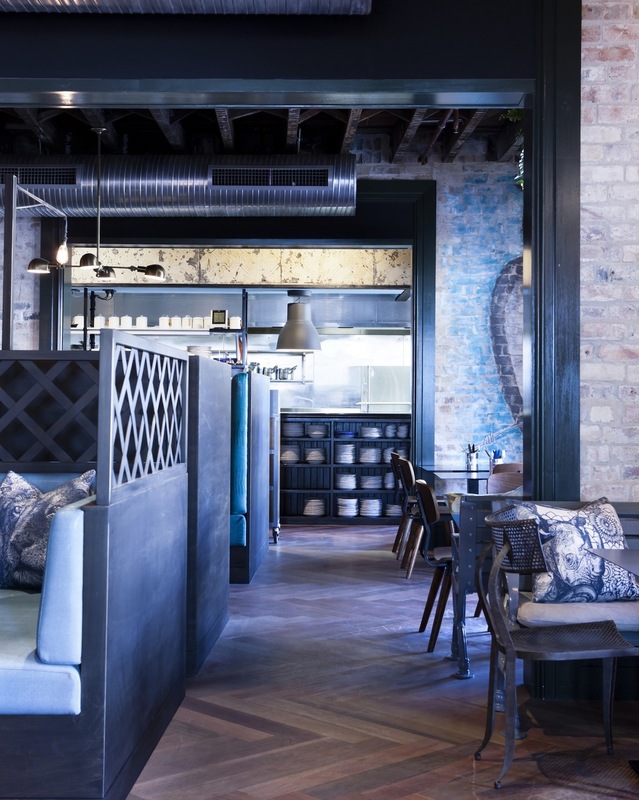 Exposed brick walls and herringbone ironbark flooring temper this cool aesthetic. 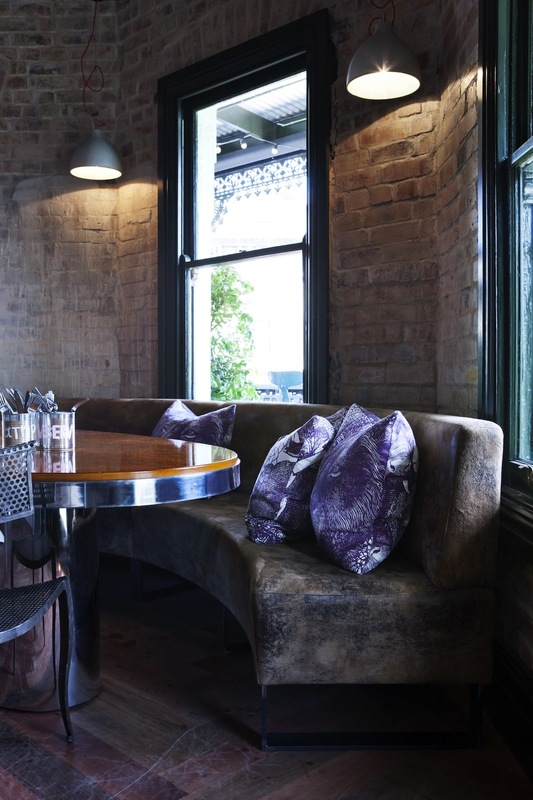 The animal is present in various guises from cage-like banquette designs to soft furnishing prints. Another dimension is added through the furniture selections in pop-orange table frames, lacquered brass surfaces and suspended brass light fittings. 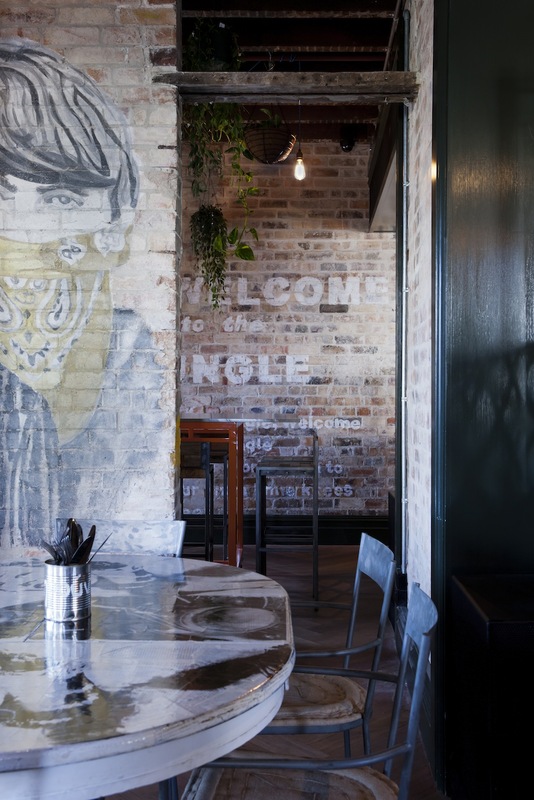 Graffiti wall art references The Beatles and retro motifs, while generous ferns and loose hedging add another layer of greenery. It’s feeding time at the zoo.